It’s no secret the Tories have been carving up our public services and outsourcing them to private firms in order to make a profit at the expense of the taxpayer. Some of these companies are even owned by the Tories’ rich friends in big business while others belong to Tory donors. Maybe some wealthy donors hope for a Conservative government so that they can feast of taxpayer funded services which they had out to private firms. Theresa May’s new line-up of ministers confirmed they are still very much continuing with this dogmatic agenda of privatisation and outsourcing. In fact they would prefer to see our public services used for private profit. Labour’s view is different – we believe that taxpayer-funded services ought to be conducted in an ethos of public service rather than for mercenary private advantage. Whether that’s to run welfare payments to those receiving universal credit, running hospitals or administrating schools in huge academy chains, there’s no part of the public sector they don’t want to turn into a profit generator for private interest. As we’ve seen with the termination of Virgin’s contracts on the East Coast main line, when these firms cannot make good on their obligations under these contracts it’s the British public who pick up the bill. One outsourcing firm that’s grabbed headlines recently is Carillion, who have contracts across the public sector. They are in debt to the tune of £1.5bn, while being valued at less than £100m. The are being investigated by the Financial Conduct Authority. They are threatening to cut the pensions of their former employees. But if the staff receive second class treatment, how can they focus on providing the best quality service to the public? And if they fold, Britain could face a huge bailout so that our schools, hospitals and train lines keep running. It should cause a lot a worries across the government. Many say Carillion is at risk of going under. If that happened, we would effectively be paying for these services twice. This government has socialised the risk but privatised years’ worth of profit for shareholders. We all know that this government is happy to allow firms with public contracts pay millions to private shareholders while cutting disability benefits, schools and our precious NHS. But it adds insult to injury for the British public suffering from austerity that when challenged on this, the new minister, now in post for less than two days, took the opportunity to praise the profiteering of public contractors. Oliver Dowden, newly promoted to the frontbench, responded to my questioning in the House by saying the government is making contingency plans for Carillion folding. This wouldn’t have to happen if the Tories had not done so much outsourcing in the first place. He also said that in spite of Carillion grabbing headlines because of their poor performance, the government thought their work was positive. Let me get this straight: I represent a former mining area, which hasn’t seen meaningful private investment in decades, and little public investment since the 2010 election. Some of the poorest people in the country, with some of the worst prospects due to years of Tory government, live there. They have seen private firms make profit out of their benefits, their schools and our crisis-stricken NHS services. Dowden, a Cambridge graduate and former special advisor to David Cameron, would prefer to give big-money contracts to big businesses and pay workers poorly and keep them in bad conditions, instead of providing a better quality of life for my constituents. Labour would reverse the presumption in favour of outsourcing. Public services should not be used in service of the dogma that private is always. We can actually provide more cost effective services and treat workers better by running many services in-house. The risk posed to our public services by these huge outsourcing firms folding is huge, but the government has not even thought about how large that cost could be. It is often said the Tories know the price of everything but the value of nothing. But in the case of their reckless carving up of our public sector, they apparently don’t even know the price. 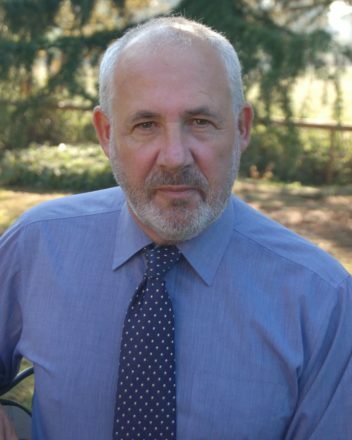 Jon Trickett is shadow minister for the cabinet office and MP for Hemsworth.